Our first day in Japan; it WAS AWESOME! First we went to Chinatown. Yep, we went to Chinatown in Japan. 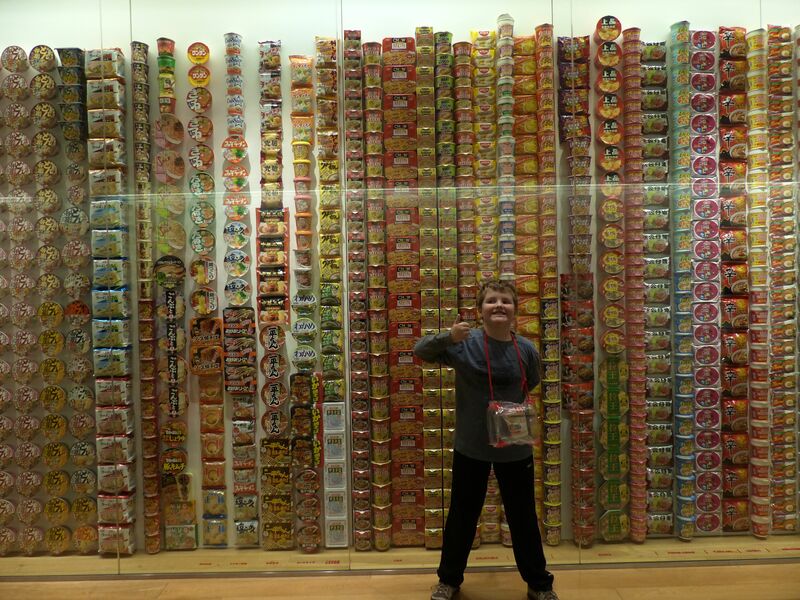 After that we went on a tour to the world’s fastest and 2nd tallest elevator, then we went to Cup Noodle Museum. We made our own cup noodle. I made mine with chicken and pork. After that we went to a play park in the museum. It had a climbing area to a ball pit, a cool slide that gets you into an oil pot, then a cooling off part, next you go into a cup and finally a fast slide. And if you think about it, that’s how a cup noodle is made.